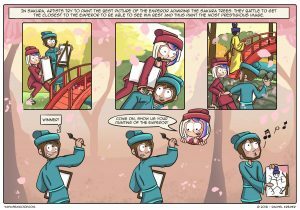 A light tactical game in which players are artists trying to get closest to the Emperor to paint the best picture of him admiring the Sakura trees. But beware of bumping into the emperor! A push-your-luck ánd push-your-friends game up to six players.